And here in San Diego, it came in full force today with a whomping 105 degree weather! Can you imagine what it’ll be like in July?!? Luckily, I know of very few better ways to beat the heat than with lots and lots of ice cream. 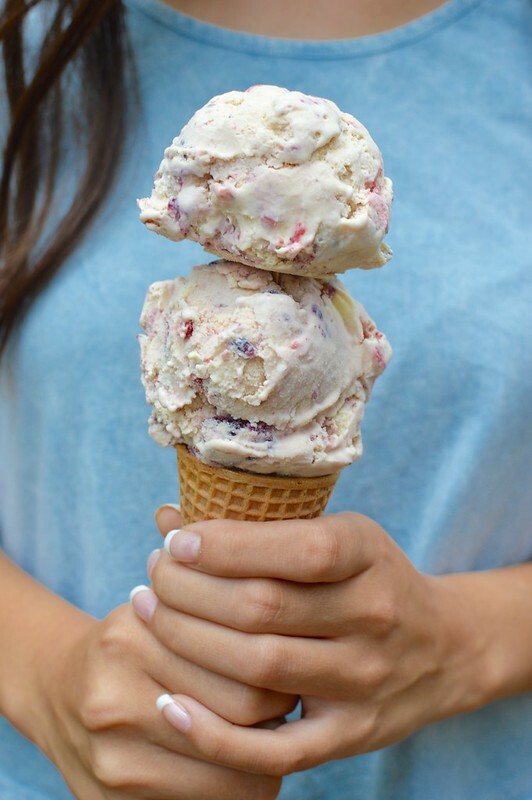 So this month I partnered again with our buddies at Safest Choice® Eggs to whip up an ice cream that was an ode to Summer — Roasted Berries. Have you ever roasted berries? If not, please do so STAT because it’s a game changer! 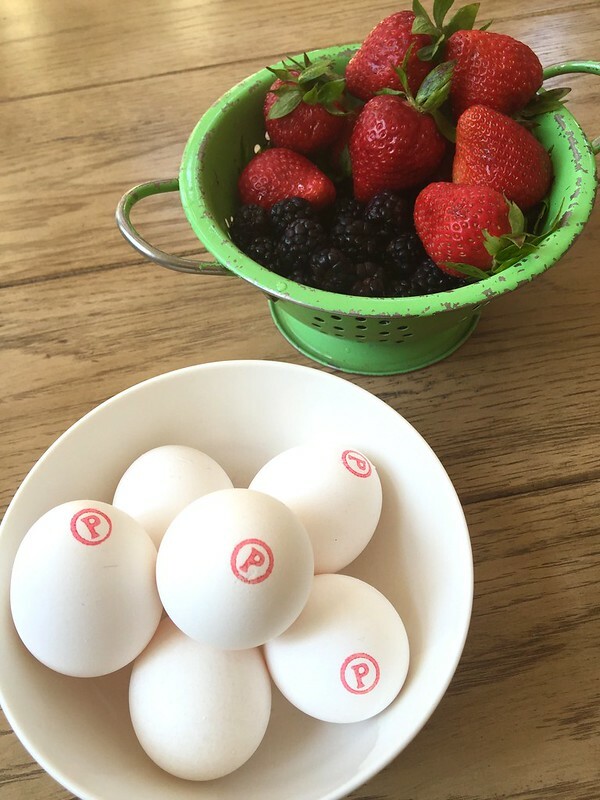 The berries become so wonderfully intensified in flavor and can be used in so many different ways. Over cakes, with yogurt, on top of meringues and in this case–in ice cream. I chose strawberries and blackberries this time around but really, you could use any berry that tickles your fancy. 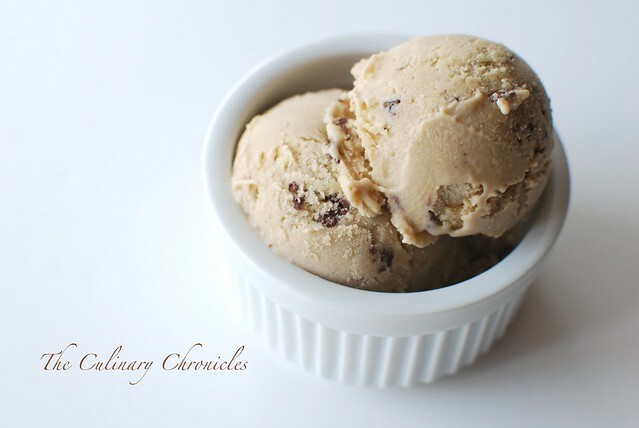 Never attempted homemade ice cream before? No worries! It’s all quite simple and if you’ve got a trusty ice cream machine, it’s a breeze! 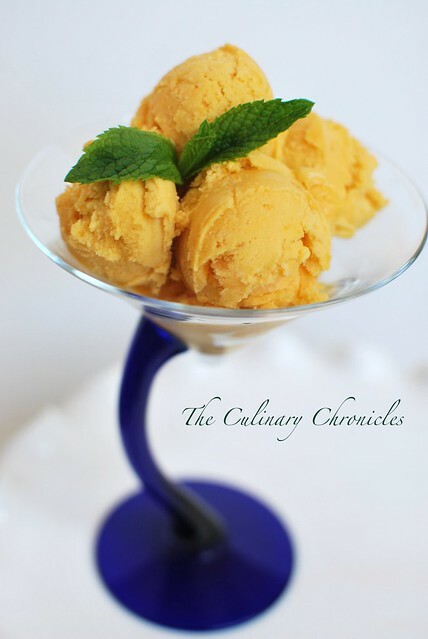 Head on over to Safest Choice® Eggs to read my ice cream post this month and while you’re at it, click here for the recipe. We’re ready for you Summer!!! It’s been really hot these past few days. Darn too hot to cook or even warm up food. So instead, I opted to make milkshakes for dinner the other night. I rummaged through the freezer and found some chocolate and coconut ice creams which I threw in the blender with some other goodies. 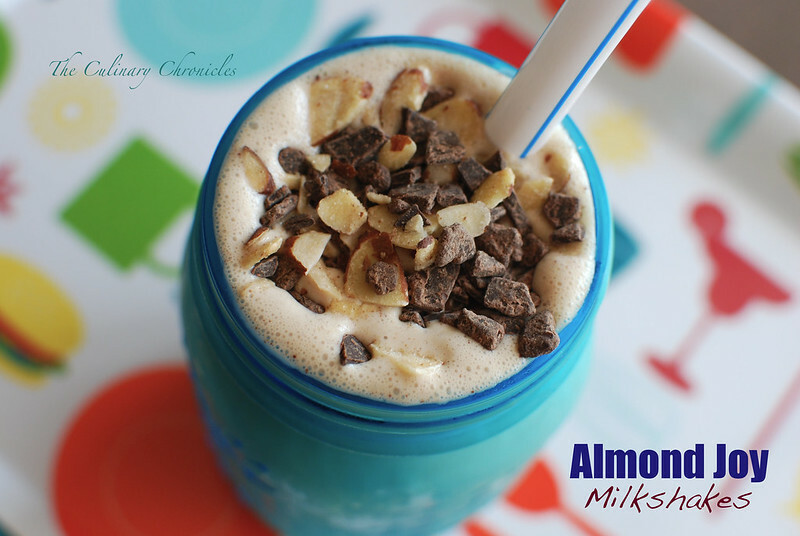 And some how, I inadvertently made the most delicious milkshake with the flavors of Almond Joy. ‘Cause…. It was decadently yummy and helped keep me cool during the .5 seconds it took me to inhale the whole thing. I love it when I make delish things by accidents. In a blender, add both ice creams, almond milk, both extracts, creme de cacao (if using) and 1½ tablespoons coconut flakes. Blend until the shake is smooth and frothy. Pour the contents into a glass and sprinkle the top with the remaining coconut flakes, almond slices and cacao nibs (or chocolate). With Summer in full effect, the heat has been blazing here in Southern California. Somewhat uncomfortable at times but it’s the perfect Ice Cream weather! 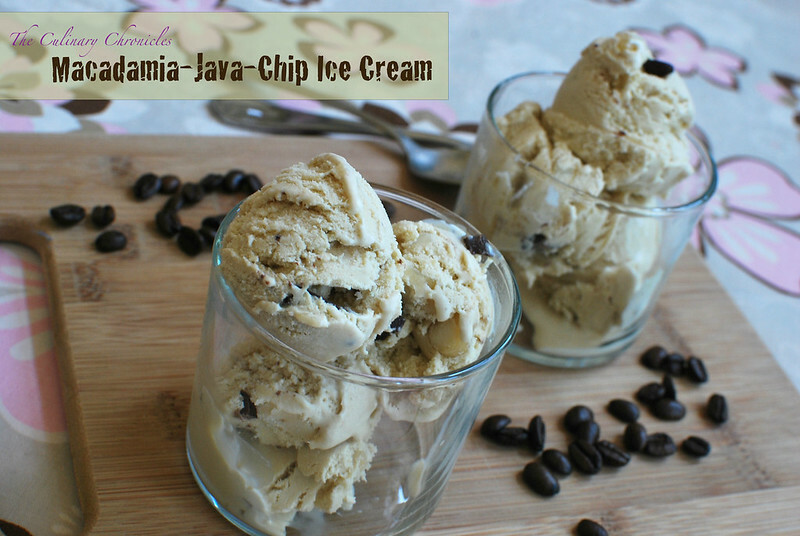 Channeling the flavors of the islands, I put together this onolicious Macadamia-Java-Chip Ice Cream for the King’s Hawaiian O’hana. The recipe is quite simple to pull together and is packed full of the balanced island flavors of coffee, chocolate, and rich macadamia nuts. Click here to find my post and recipe for the KH O’hana as this is the perfect way to end the week. 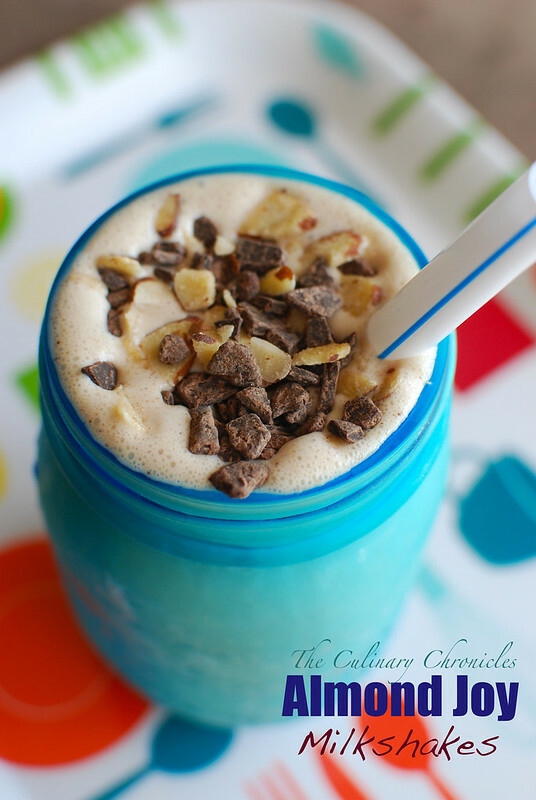 Boozy Mint Chip Shakes — Happy St. Patrick’s Day! Need something green to help you celebrate St. Patrick’s Day? 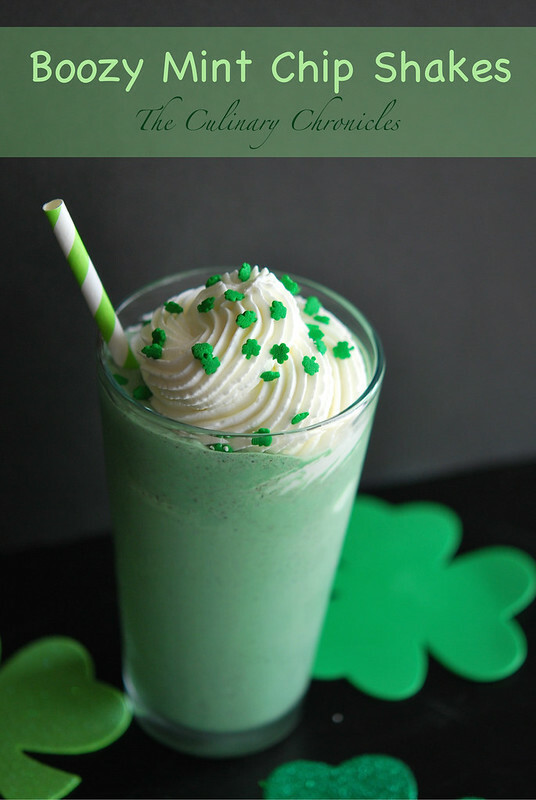 Well you’re in luck because I’ve got a super green, super delish and super boozy shake for you. 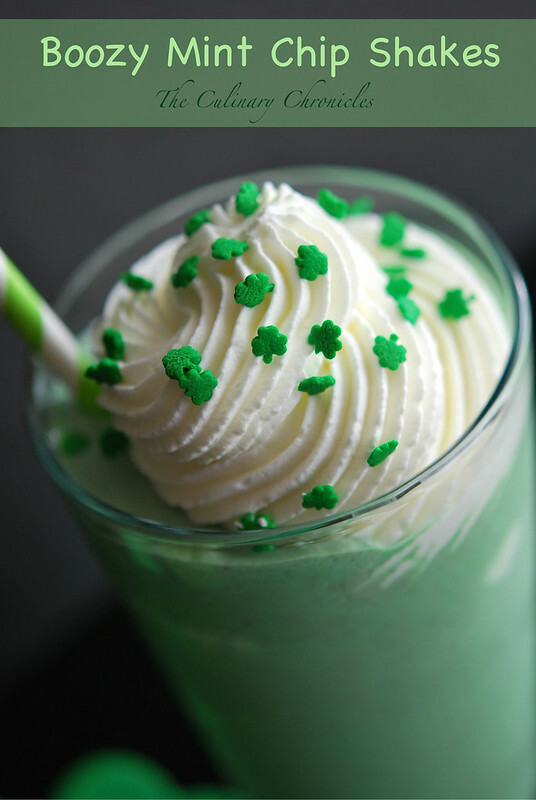 Tons of mint chocolate chip ice cream blended with Baileys Mint Chocolate Irish Cream and topped with swirls of mint flavored whipped cream. Green, minty deliciousness! Prepare the whipped cream. Using a standing mixer fitted with the balloon whisk attachment, whip the chilled heavy cream on high until it just holds stiff peaks. Slowly sprinkle in the sugar until you reach a thick consistency. Add in the mint extract and whip until combined. In a blender, combine ice cream, milk, malt powder, Irish cream and food color (optional). Blend until the mixture is smooth and combined. Pour the shake into two chilled glasses and top with swirls of whipped cream. Add sprinkles and enjoy! It’s no secret that I began drinking coffee at an early age…..like at 11 or 12. So you can imagine my delight when a box arrived at my door with a few bags of Godiva’s new line of coffee to play around with. 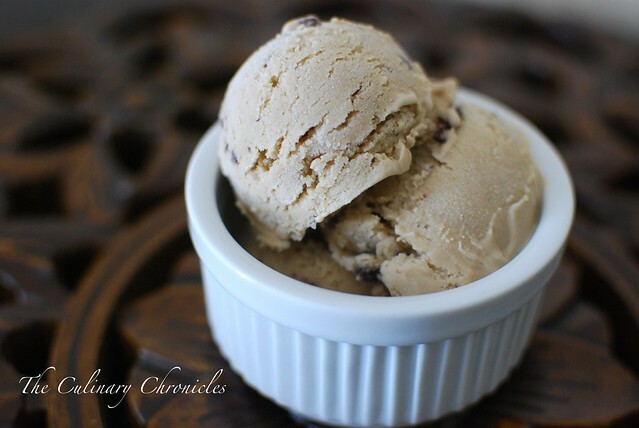 There were so may different routes I could have gone with but since July was National Ice Cream month, I decided to make a coffee flavored ice cream using Godiva Chocolate Truffle Coffee. And of course, adding in chocolate was a must! The end results were AH-MAY-ZING! The coffee flavor was the star but the chocolate shards were such great little bits of surprises throughout the whole thing. And you want to know a secret? I didn’t even use an ice cream machine to make this! Yup….totally old school! Thanks to David Lebovitz, all you need to make your own homemade ice cream is a few ingredients, a cold freezer, and a little patience. Dissolve the espresso into the brewed coffee. Allow the coffee to cool to room temperature. In a mixing stand, whisk the eggs, yolks and sugar in a bowl for 2 minutes until its pale yellow in color. Heat milk and cream in a medium saucepan until it is near-boiling and turn off heat. Turn the mixer on medium-high and gradually drizzle in ½ of the hot milk/cream into the egg mixture. Once the mixture has been tempered and combined, pour it back into the saucepan with the remaining milk/cream. Heat medium low, stirring constantly, for a few more minutes or until the consistency is thick enough to coat the back of a spoon when dipped in. Turn off heat. Whisk in the coffee/espresso and Baileys (if using). Pour the custard base into a bowl and chill over an ice bath. Once the custard has chilled, pour it into a glass baking dish and place directly into the freezer for 45 minutes. Pull out of the freezer and use a rubber spatula to vigorously stir the mixture, breaking up any frozen bits. Place back in the freezer and continue to check the mixture every 30 minutes, stirring vigorously as it’s freezing. When the custard is nearly frozen, take the chocolate and heat over a water bath. Take out the dish and drizzle the chocolate over the top of the custard. The chocolate should harden fairly quick and use the rubber spatula to break it up into small pieces. Transfer the ice cream to a covered storage container until ready to serve. *If using machine, add the chilled custard base into the machine and follow manufacturer’s directions. As part of the Foodbuzz Tastemaker Program, I received Godiva Coffee. However, all views and opinions expressed here are my own. Mệ was our paternal grandmother and by no stretch to the imagination was she your typical grandma. Yes–she was loving and caring but she was also quite feisty and sometimes “crass”. 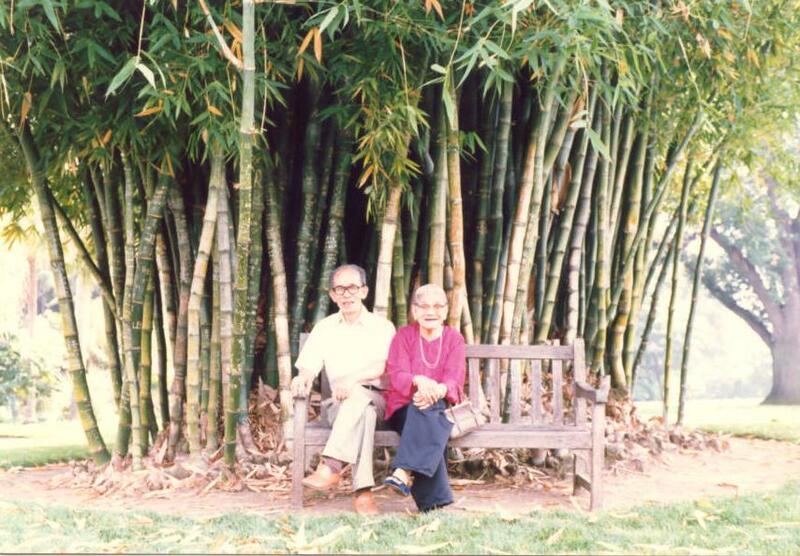 She chewed trầu cau (betlenut), drank beer, taught me black jack, and could build the most intricate and ornate Lego buildings that were freaking awesome. And because of all of that, I loved her dearly. As the youngest of 5 (with a fairly significant age gap between my next sibling), I spent a lot of my childhood with Ôn (our paternal grandpa) and Mệ. They would play with me, sneak me extra candies, and shield me from my folks when I was about to get busted for doing something really stupid. Lately I find myself reminiscing a lot on my times with Mệ —especially the times that we would eat mangoes together. I would sit on the floor next to her watching her peel the long strips of skin off the mangoes. Then we would devour the fruit and gnaw on the seeds with the juices dripping down our faces. Of course she would tell me some type of funny story throughout the entire process, stopping only to open her mouth wide to let out a huge bellowing laugh. When we were finished, she would hurry me off to go wash my face before the juices left my skin itchy. They were wonderful times and I can’t help but to smile when I remember her this way. Shortly after Ôn passed away, Mệ moved back to Việt Nam and my frequent trips to the motherland began. With each visit, she and I would still sit on the floor and enjoy some special item together…..măng cụt (mangosteens), mít (jackfruit), nhãn (longan) or whatever fruit that was in season. The roles changed a bit during those times as I prepared the fruit for us while she inquired about my day. She was obligated to remind me, her American-born granddaughter, to not eat the street foods or ride on the xe ôm (scooters). Of course I obediently said “yes” and then would later jump on a scooter & head to the nearest food stall with my cousins. But the small “white lie” was expected. She knew she had to caution me and I knew I would have to verbally comply. But inside, Mệ knew that exploring the streets of Việt Nam was the only way for me to really become acquainted with my country. My family says I inherited a lot of Mệ’s features, which always makes me smile. I think it’s because of this and my memories of Mệ that I feel I’ll always carry her spirit with me. And for the rest of my life, I know that every time I eat mangoes I will always think of her. Ôn and Mệ…..weren’t they so cute??? Prepare a large bowl or pan of ice water. 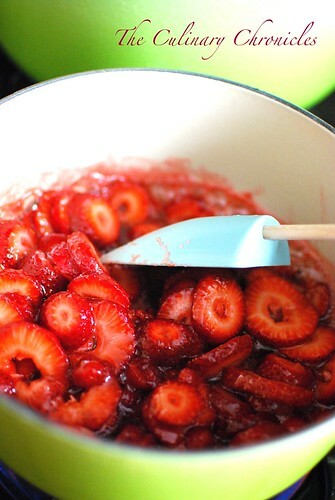 In a medium saucepan, combine the sugar and water, bring to a boil while stirring, and cook until the syrup is clear. Immediately place the pan in the ice bath and stir the mixture occasionally until it cools to room temperature. Peel and dice the mangoes, discarding the seeds, and purée the mangoes in a blender or food processor with the juice and syrup. Transfer to a container and stir in the cream. Cover and refrigerate until thoroughly chilled, about 3 hours. Freeze in an ice cream maker according to the manufacturer’s instructions. Transfer to a container, cover, and freeze until firm, about 2 hours. **It’s important to use really ripe, but not browned, mangoes for the fullest flavor. There are also many varietals of mangoes but I prefer the Ataulfos as I think they are the most fragrant and flavorful. Have I ever mentioned that I’m the youngest of 5? Sure, I’ve had my share of hand-me-downs. But by the time my parents got to me, they were way too worn out by my sibs…..so admittedly, I had it MUCH easier than them. My grandparents babied me and in fact, even my elder sibs were known to indulge me from time to time. When I was in kindergarten, my sis P, would often meet me at my bus stop to walk me home. And on some occasions, she would make a pit stop at Dairy Queen on our way home to indulge me in some VERY special treats. I would fluctuate between ordering a Lime Mister Misty Float—a Peanut Buster Parfait-–or even a simple Dipped Cone. All of them were amazing delights! 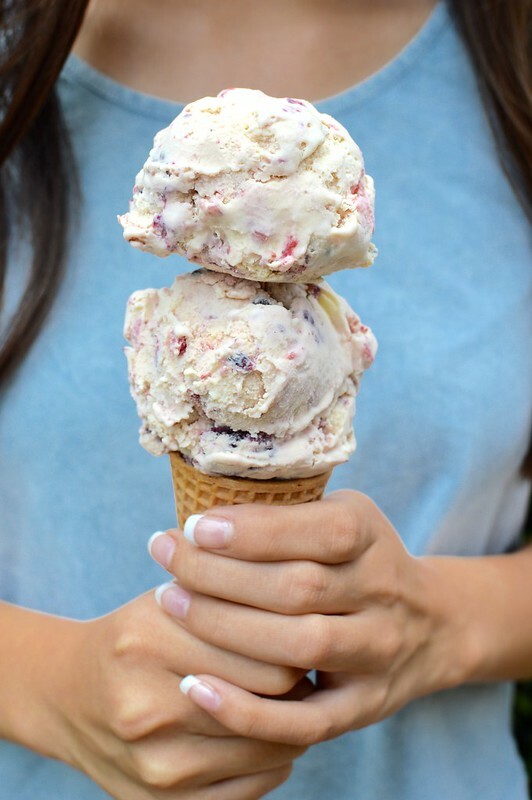 So when I began making a Strawberry Ice Cream the other day (due to our excess of berries from Tanaka Farms), my sis P said the house smelled like Dairy Queen. Quite the compliment, if I do say myself. Just how strawberries should smell. And the end result tasted even better than it smelled. Creamy and packed FULL of berry flavor. Due to our super fresh berries, I even halved the amount of sugar in the recipe. But if you find that your berries are slightly lacking in punch—by all means, go the full amount. Set a fine mesh strainer over a medium sized bowl and set the bowl over a large container of ice water. Heat the cream, milk, and ¼ cup sugar in a medium size sauce pan over medium heat stirring occasionally to dissolve the sugar, until steam appears and the liquid is hot (175 degrees) about 5 minutes. When the milk mixture is hot, in a separate bowl, whisk the yolks and remaining ¼ cup of sugar together until smooth. Slowly whisk about 1 cup of the hot milk mixture (temper) into the yolks. Then slowly whisk the tempered yolk mixture back into the remaining hot milk mixture. Continue to cook the custard mixture over medium heat until it is very hot but not simmering (180-185 degrees). Strain the custard mixture into the bowl set in the ice bath and let cool, stirring occasionally, for about 10 minutes. Remove the custard mixture from the ice bath, cover tightly with plastic wrap and refrigerate for about 3 hours. Meanwhile, bring the strawberries, salt, and remaining sugar to a simmer in a medium sized saucepan over medium-high heat. Cook, smashing the berries slightly, until they have released their juices and are broken down, about 5 minutes. Transfer to a small bowl, cover with plastic wrap, and refrigerate until needed. Strain the berry mixture through a fine mesh strainer. Stir the strained juices, vanilla, and lemon into the chilled custard mixture. 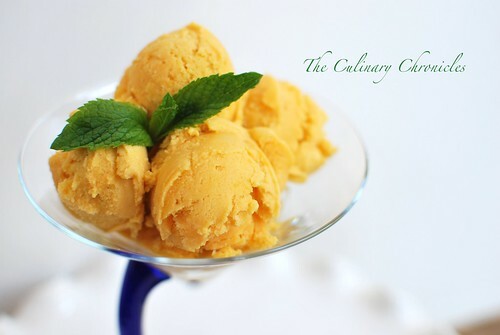 Pour the mixture into the ice cream canister and churn following the manufacturers instructions until the mixture resembles soft served ice cream. 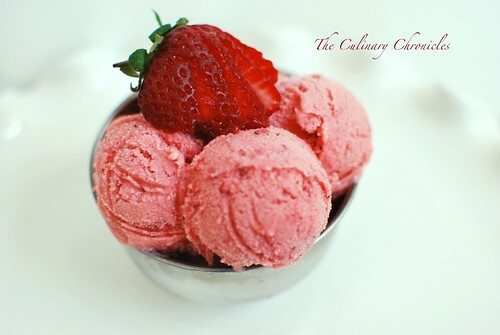 Toss the strained strawberries with the vodka and add to the machine when there is about 2 minutes remaining before the churning is complete. Transfer the ice cream to an airtight container and press plastic wrap against the surface. Cover the container and freeze the ice cream until it is firm—about 3 hours.